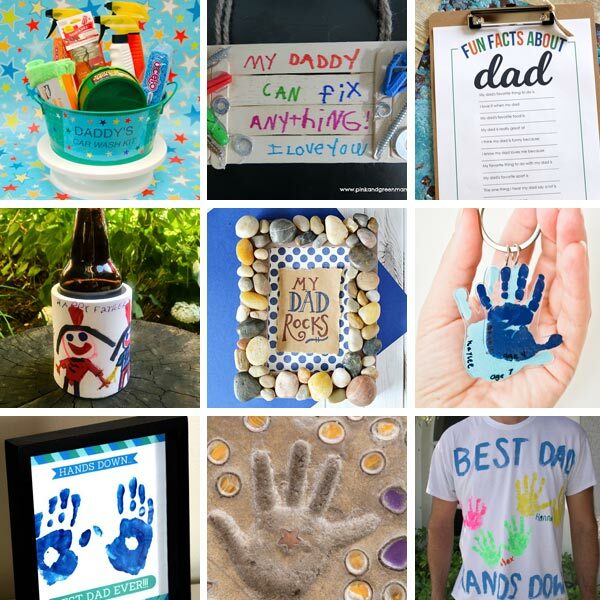 I remember my dad’s smile and happy face when, as a kid, I would make something for him. 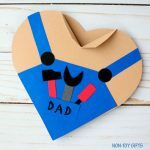 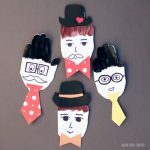 This made me so glad and I want my kids to feel the same way when they put their imagination and creativity to work and make little gifts for their dad or me. 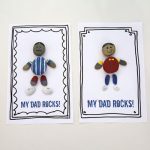 With Father’s Day just around the corner, it’s time to encourage our children to create a present for their dad. 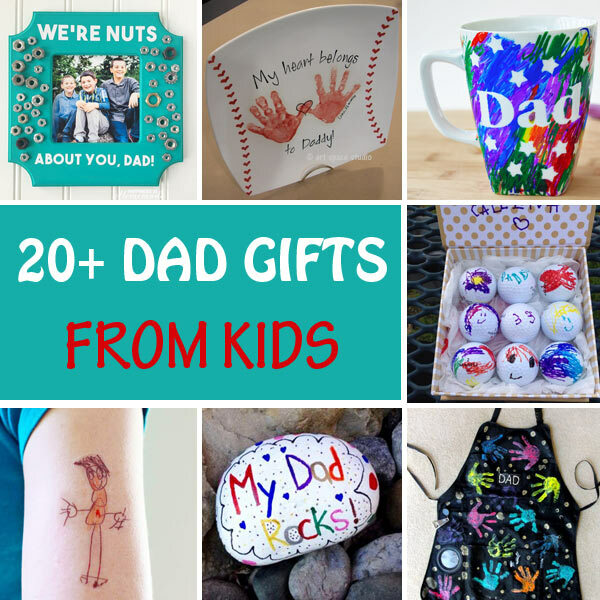 So, here are 20+ dad gifts from kids that fathers will love. 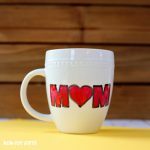 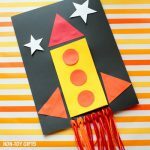 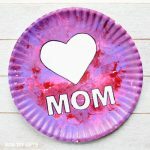 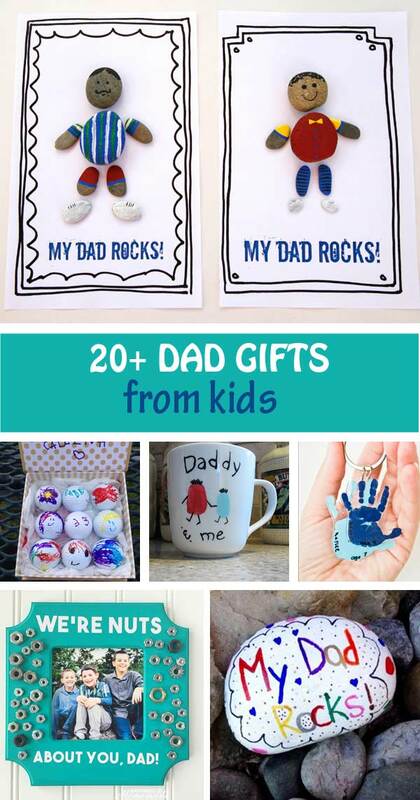 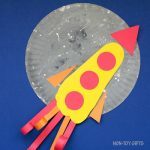 Pair them with a handy dad heart card or a “I love you to the moon and back” footprint craft.